Blue tomatoes, not really - the fruit are really more of an indigo color; the pigmentation more like an eggplant. 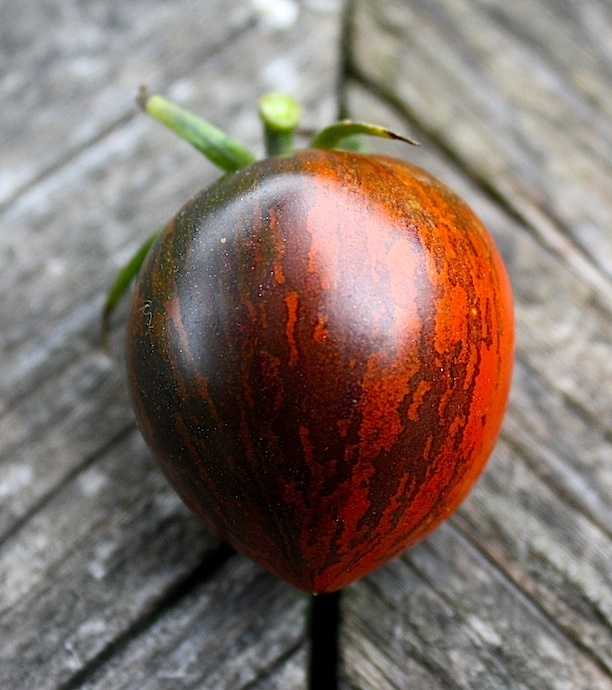 So what's the fuss about and what's the genetic basis for the accumulation of anthocyanin pigment in tomato fruit? Here's what we've learned from the literature and from our experience in breeding for the trait. 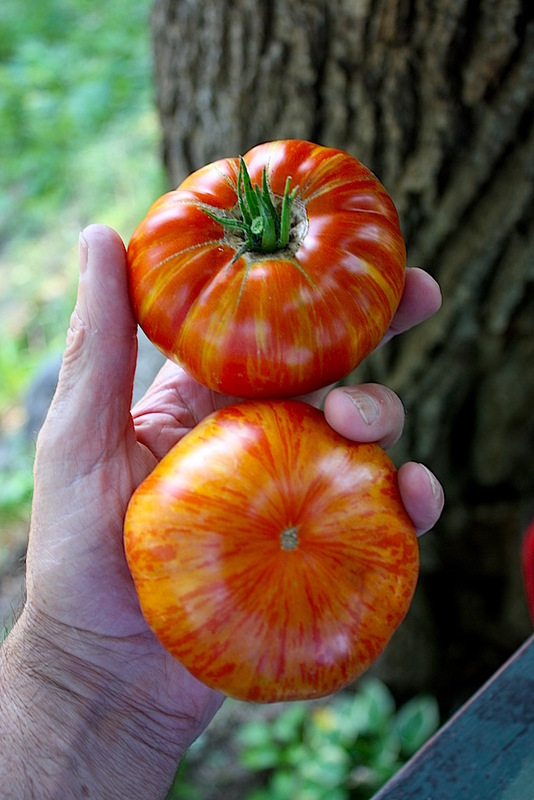 In the last several years there’s been significant interest in breeding tomatoes with improved nutritional quality. One approach has been to increase fruit concentration of anthocyanin and related phenolic compounds that also have anti-oxidant activity. Professor Jim Meyers, and various graduate students working with him at Oregon State University (including Jones, Mes, Boches and Dalotto), have used TGRC lines to introgress, into cultivated tomato, two genes from wild relatives that independently regulate anthocyanin synthesis in tomato fruit. This group has published most of what is known about the genetic basis for the trait (see Jones, 2003 link). 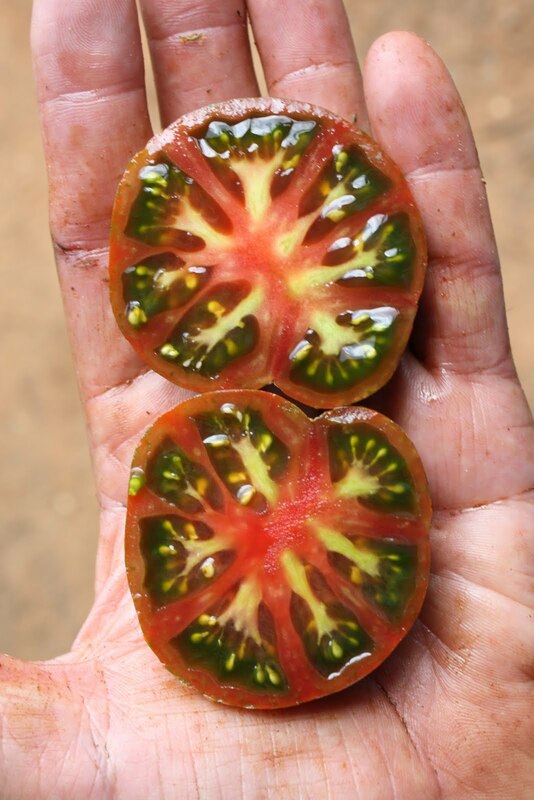 We are among a group of several tomato breeders working on incorporating these genes into various tomato breeding lines. 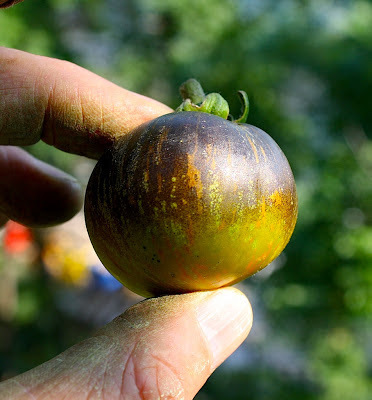 The Aft/atv parent we used in crossing was a single plant selected in our breeding nursery from OSU Blue for intense anthocyanin accumulation in the fruit and acceptable horticultural type. Taste of this OSU Blue "donor plant" was not very good. 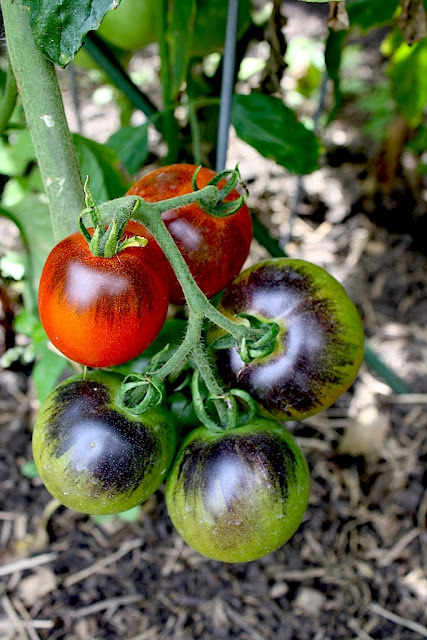 The Aft (anthocyanin fruit) gene, from S. chilense, is a regulatory gene (An2 transcription factor) that is induced by UV light and that triggers up-regulation of anthocyanin biosynthesis in tomato fruit, and to a lesser extent in vegetative tissue. 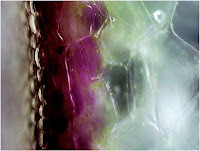 In Aft plants anthocyanin accumulates in and just below the fruit epidermis, where light penetrates the first few layer of cells. It is believed that such accumulation is a stress and protection response to UV light (think melanin accumulation in human skin cells in response to UV light – tanning). 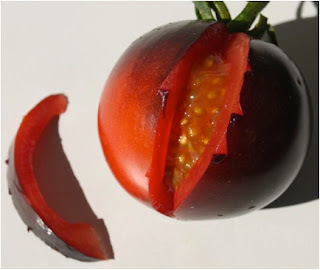 Typically those parts of the fruit exposed to light will accumulate anthocyanin and turn black/purple, while those parts of the fruit not exposed to light will have the normal background fruit color. Anthocyanin accumulation begins very early during the green fruit stage and masks normal fruit color in mature fruit. Anthocyanin appears to accumulate preferentially in the green stripes of gs and Fs fruit. The atv (atroviolaceum) gene, from S. cheesmaniae, induces anthocyanin accumulation in vegetative tissue and, in combination with Aft, to anthocyanin accumulation in tomato fruit. Plants homozygous for atv accumulate anthocyanin in leaves, stems and petioles, especially in conditions with high light and cool temperatures. Under cool high light conditions seedlings homozygous for atv will begin accumulating anthocyanin in the cotyledons and the epicotyl. This accumulation will become more obvious as the seedlings get larger. 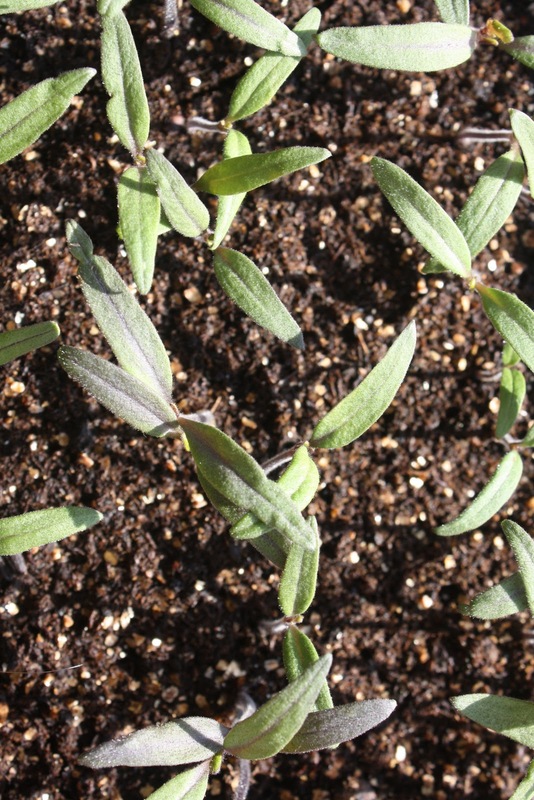 Maintaining cool temperatures and high light is critical for successful selection of atv/atv seedlings at this stage. Once the seedlings establish in the field and the temperatures increase, the anthocyanin accumulation in leaves/stems fades quickly. Later in the season when the temperature begins to drop, anthocyanin accumulation in vegetative tissue (especially growing points) starts anew. each selected weeks earlier for seedling "purpling"
Some of seedlings with the darkest “purple” foliage had no anthocyanin accumulation in the fruit (atv positive/Aft negative). In fact there was no significant relationship between seedling score for anthocyanin and anthocyanin accumulation in fruit. This was a surprise, and suggests not being too rigorous in screening seedlings. In 2010 we selected < 5% of the F2 seedlings for transplanting – based on the anthocyanin phenotype in seedlings. This is probably more severe than needed. 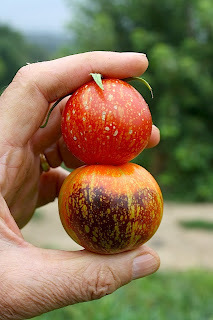 Among seedlings showing some anthocyanin acculation, there is a considerable variation in degree of purpling (see photo above). This may be an interaction between atv and Aft or other unknown genes. 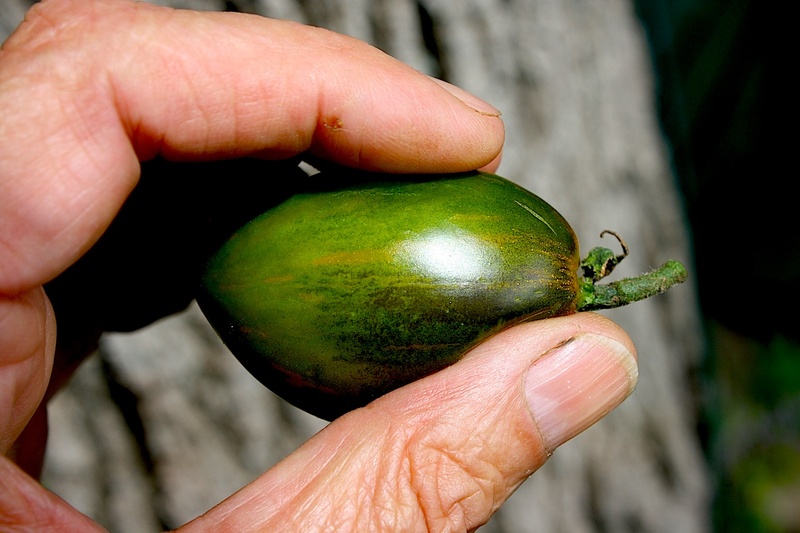 4 Anthocyanin accumulation in fruit (primarily due to Aft) begins very early in fruit development – but only in young fruit exposed to light. Because early fruit is often deep in the canopy, we do some early pruning to improve light exposure, enabling the Aft phenotype. Late in the season, with better fruit exposure to sunlight and cooler temperatures, we saw stronger expression of the Aft phenotype. 5 Among F2 segregants showing some anthocyanin accumulation in fruit, there was very significant variation in early season intensity of the pigment, and how sensitive such accumulation was to light. Part of this may be due to whether Aft was homozygous vs heterozygous (i.e. partial dominance – suggested by Jones), but it appears there may also be interactions with other unknown genes. We should learn more from the F3 generation. 6 In the F2 generation there didn’t appear to be any relationship between anthocyanin accumulation in the fruit and flavor/taste. Taste of fruit from the best F2 plants with a strong Aft fruit phenotype were 7.5-8.0 on a scale of 10. There’s still some work to do here. This year we will have F3 progeny from the best Aft lines and backcrosses of these to our best tasting non-Aft breeding lines. 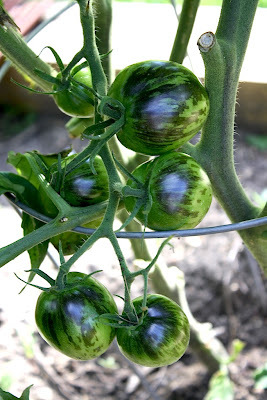 As described in our “Genetic control of fruit stripes” blog, we saw a preferential accumulation of anthocyanin in green stripes in fruit of F2 plants co-segregating for gs and Fs. 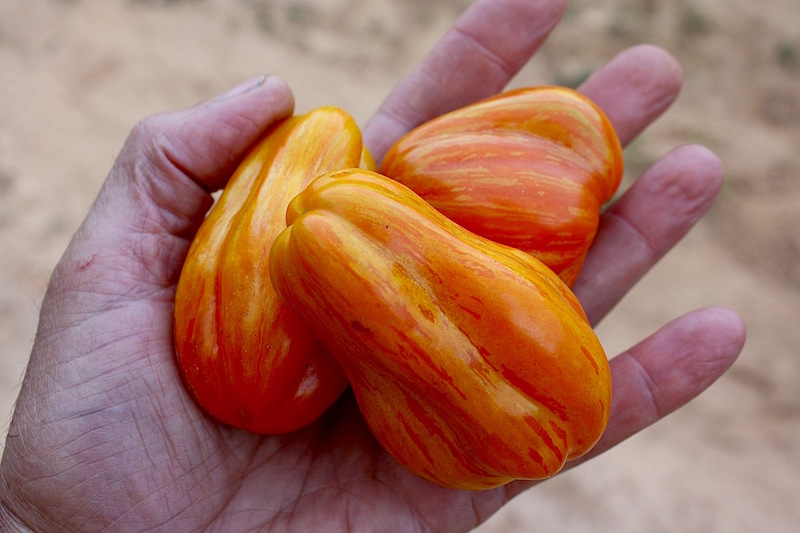 This should yield some pretty interesting and novel looking F3 fruit in Aft/gs and atv/gs plants with various fruit color/shape combinations. Purple Dragon is Dean Slater's name for a F3 line combining Aft/gs. Black and Brown Boar was the striped parent in the F1, which I think is evident here. 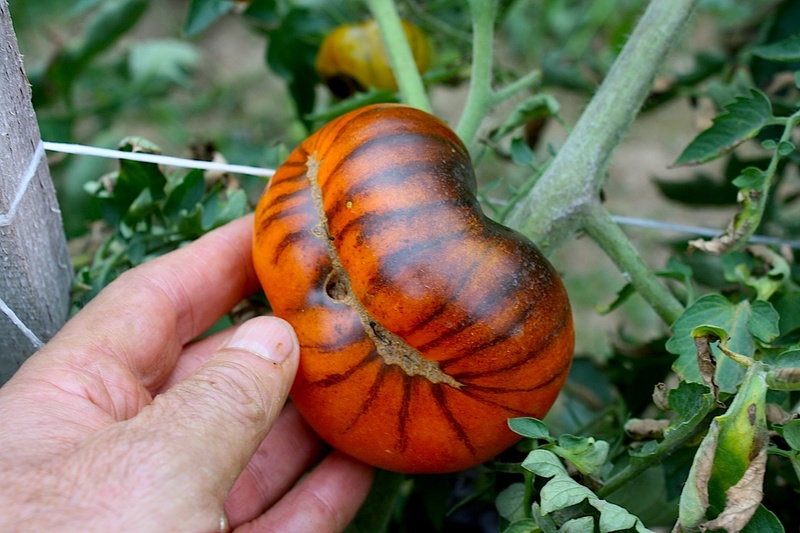 High pigment mutants hp1 and hp2 dg are lesions in regulatory genes (transcription factors) that regulate light-signaling in tomatoes. Homozygous hp plants show several novel developmental and metabolic phenotypes, including increased fruit pigmentation and accumulation of various flavonoid phytonutrients. 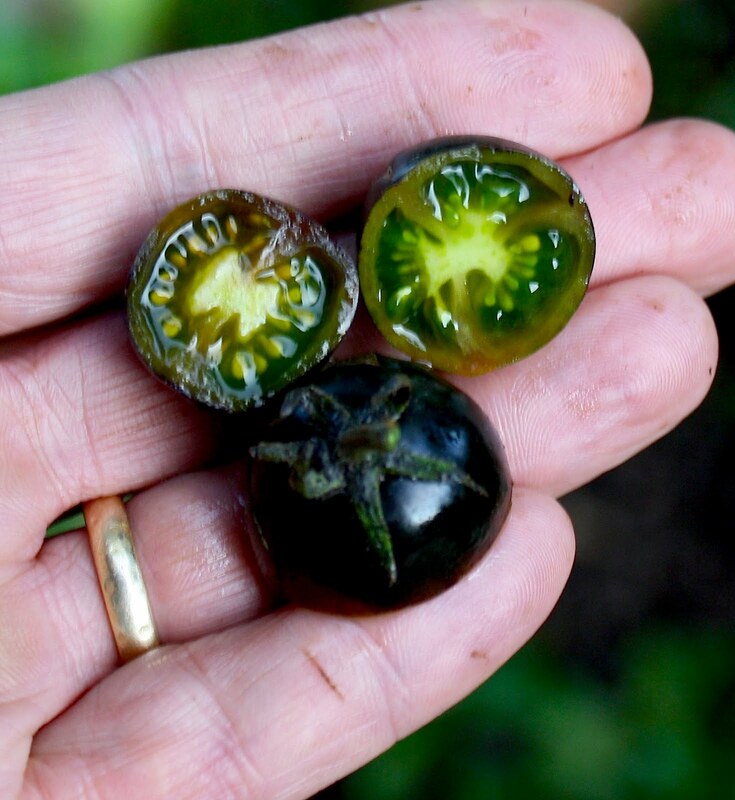 A combination of hp1 or hp2 dg with Aft and atv show >20x enhanced anthocyanin accumulation in tomato fruit, see photo here. The hp phenotype generally also results in negative effects on plant vigor and fruit yield. The combination of hp and Aft/atv is subject to a U.S. patent application (patent application link). Here's a 2012/13 update. With a few exceptions it appears that to get exceptional flavor in an Aft/atv line it will require two generations of crossing (a cross and a backcross/modifed backcross) of P20 to a high flavor parent. We have several nice MBC1 lines now in the breeding program One exception is the Indigo Tiger cherry shown above and now in the F5. In 2012 I planted the new OSU release Indigo Rose (OSU press release). 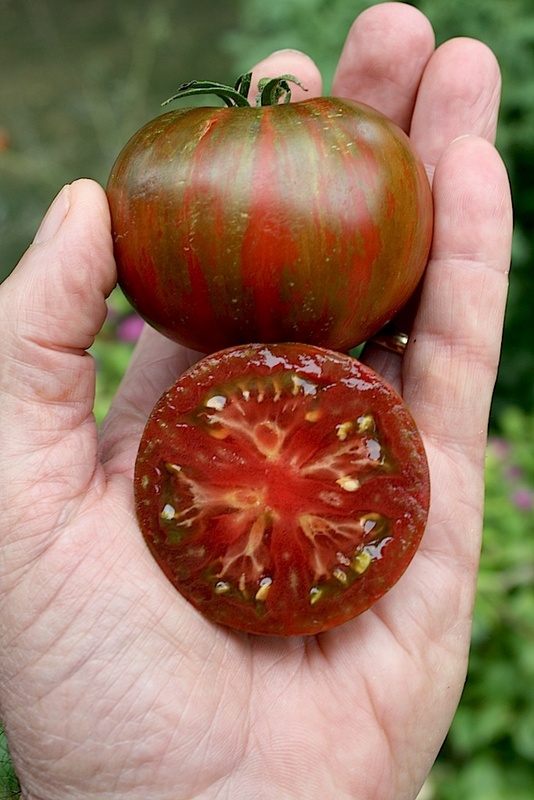 Good anthocyanin expression but flavor was just fair, not good enough for me to want to plant again. I've also tried several of Tom Wagner's Aft lines and found a few interesting plants in these widely segregating populations. 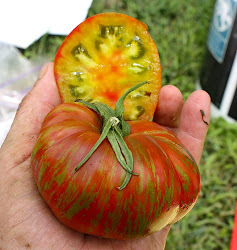 One of the best was a green when ripe (GWR) line with anthocyanin stripes, from a line he called Muddy Waters. We used this in several crosses in 2012, and some interesting F2s from these in 2013. 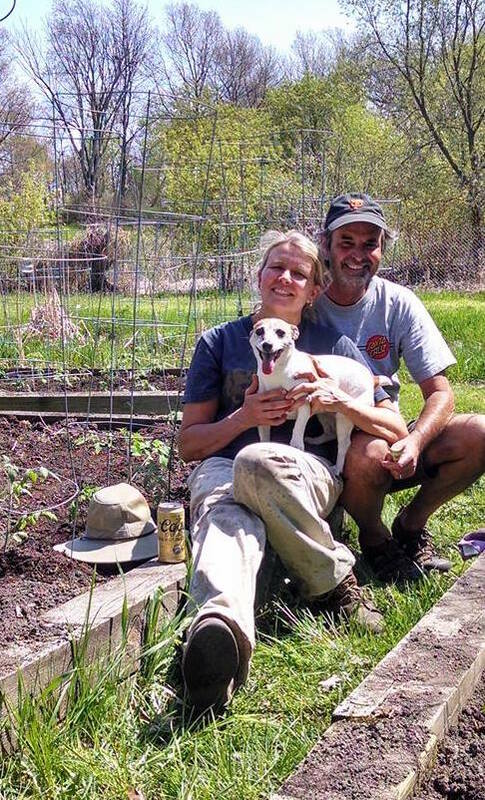 We had a chance to visit Brad Gates (Wild Boar Farms) in 2012 and he had several Aft/atv lines, including a couple of ours. Here's a photo from his nursery of an Aft line tracing to a breeding line of ours we call Freckled Strawberry. 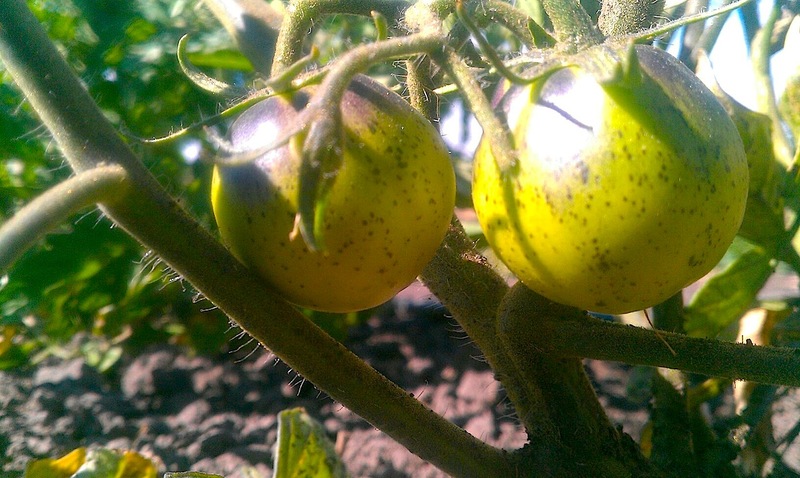 Note the indigo freckles and shoulder on this unripe fruit. 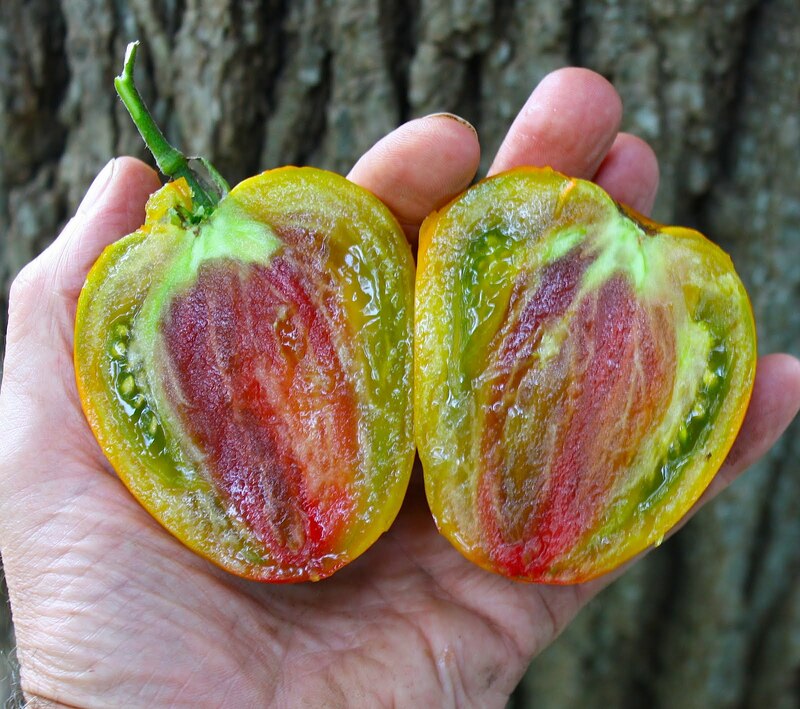 The bottom photo is from a similar Aft Freckled Stawberry line from our 2013 Pennsylvania nursery - top fruit from within the canopy (no light, no anthocyanin) and bottom fruit exposed to light on one side with anthocyanin present.